Kansas universities had about 800 more students enrolled this spring than they did last year, according to new data from the National Student Clearinghouse Research Center. That’s about a half percent more — essentially flat. But flat is better than the national figure, which saw enrollment across the United States drop about 1.3 percent, or about 231,000 fewer students. 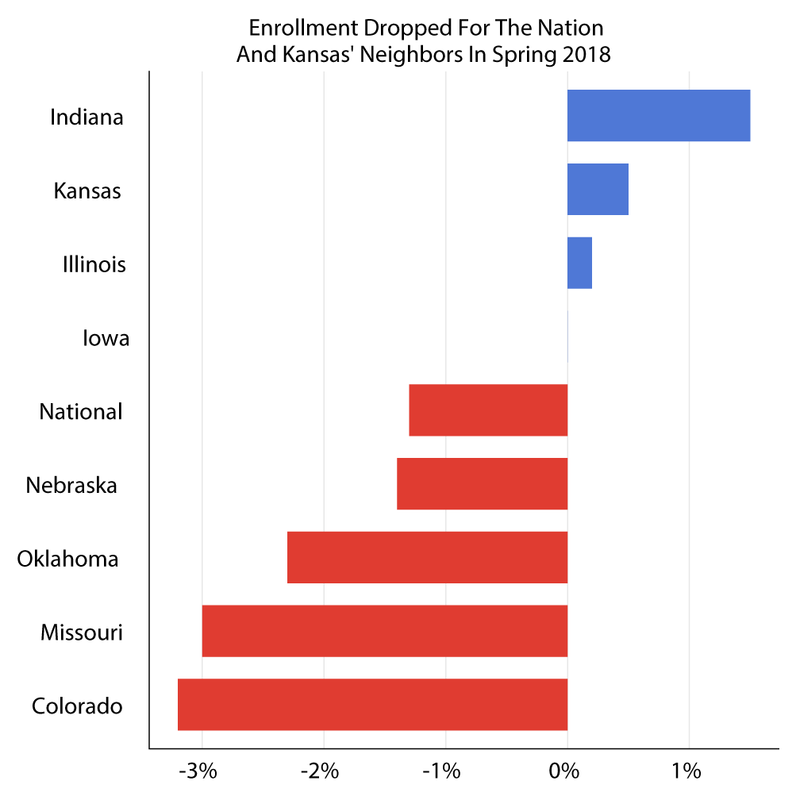 Other Midwestern states saw steeper drops, including Kansas’ neighbors. Colorado had about 9,000 fewer students this past spring semester compared to the previous year — a decline of 3.2 percent. Kansas has struggled to enroll more students in its ongoing effort to increase the number of Kansans with some level of post-secondary education. A Georgetown University study found that Kansas will need to do so to avoid future workforce shortages. 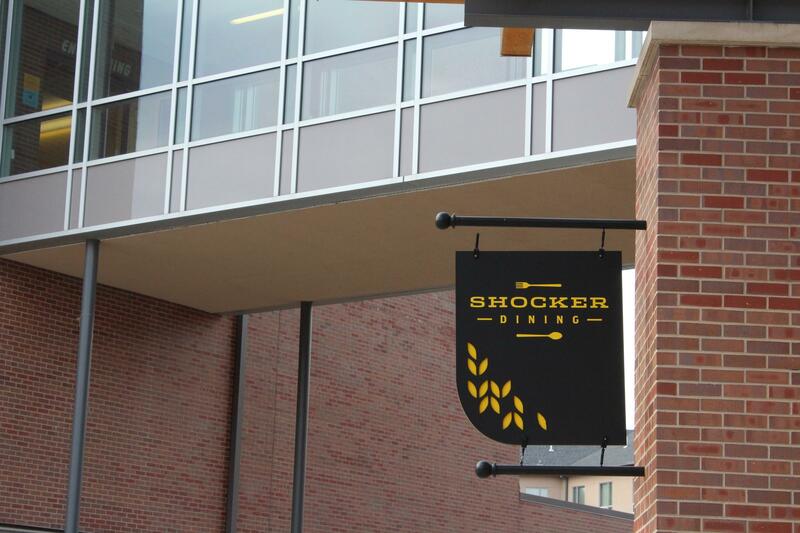 Rick Muma, the provost at Wichita State University, said failing to meet those goals could have consequences. “We could be losing businesses who are going to go somewhere else where they can get those needs met,” Muma said. 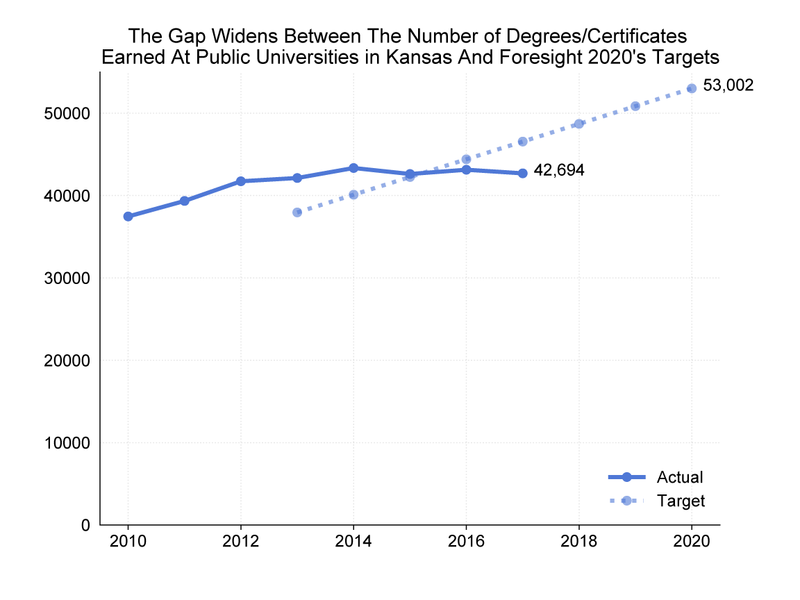 Last year was the second year in a row where Kansas fell short of its targets for the number of students who obtained a degree or certificate at a public university. WSU has put a stronger emphasis on enrollment and recruitment, according to Muma. In order to attract more students, Muma said the university is looking into more online courses and focusing on industrial needs. “What we’re seeing from a lot of local industry is they want short courses or curriculum that’s truncated in a matter that their employees can easily digest and get the skills that they need,” Muma said. The number of college degrees and certificates earned at Kansas' public universities last year fell short of the Board of Regents' target for the second year in a row. Public universities in Kansas are proposing tuition hikes significantly lower than some of the larger increases seen in recent years. 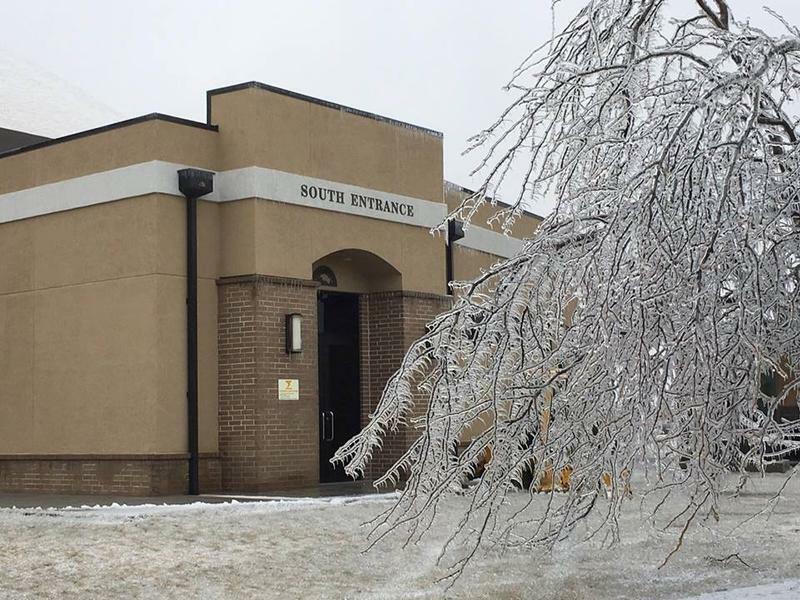 The schools presented the plans to the Kansas Board of Regents this week. 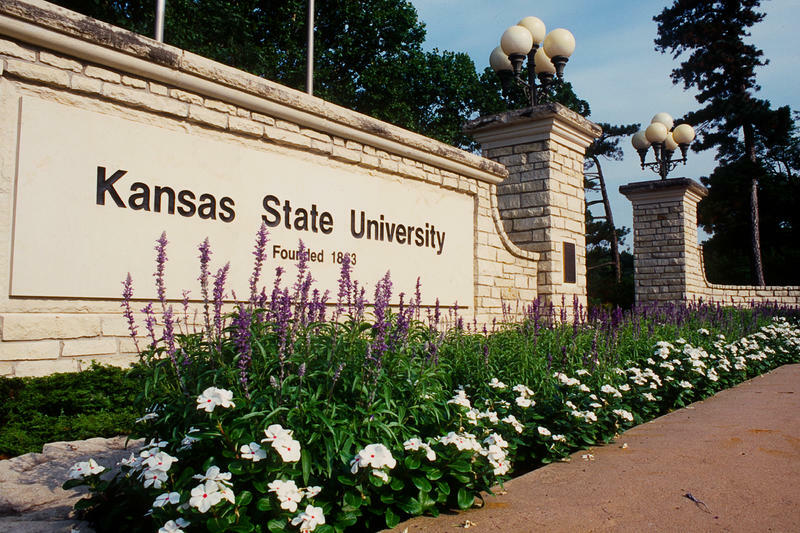 The increases in tuition and fees for in-state, undergraduate students range from 1.2 percent at Kansas State University to 3 percent at the University of Kansas.